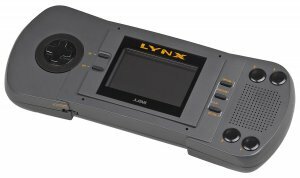 Sell Any Mobile is currently comparing 1 products of Atari from UK's top recycling companies of Atari that buys Atari products. Currently we couldnt locate any recycling that is paying cash for your Atari products or can trade in your Atari items. We update our database of 1 mobile phones, gadgets, game consoles, tablets, television, video games & mp3 players almost every 2 hours to get you the best price you can get in UK. If we detect any recycler or company can buy your Atari products for cash we will list them on our website. Recycling website like Fone Hub, Simply Drop, Mobile Cash Mate, envirofone.com, Mazuma Mobile, 8 Mobile, EE Recycle, Fone Bank UK, O2 Recycle, Music Magpie, Top Dollar Mobile, MacBack, Recycle Ur Phone, We Buy Any Gadget, Vodafone Trade In, Tesco Mobile Trade In, Carphone Warehouse, Gadget Panda, Money For Your Phone, Evamo, Giffgaff Recycle, Sellto, Digital Recycle, Phone Convert, KingBuyback, Camorada, Alpha Recycle, Apple Recycle, Cheap Apples, Gadget Reclaim, Gecko Mobile, Handtec Sellphone24, MC Recycle, Meelie Mobile, Phones 2 Pounds, Post Gold For Cash, Quick Mobile Fix, RPC Recycle, Rapid Phone Buyer, ReBuy, Recycle My Smartphone, RX Mobile, Sell My Fone, Cashed Phone, Samsung Recycle, Fone Wizard, Sell Phones, Sell Smart For Cash, Sell Any Fone, Sell My iPhone, Cash My Mac, Mac2Cash, Cash4Mac, Good Buy Tech, iSmash, Kaso Recycle, Cash My Fone, GameXchange, Love Fone, Mobile Phone Xchange, Three Trade In, We Buy Tek, Bozowi, Lloyds Mobile Phone Recycling, iPhone Recycler, & CEX currently buys Atari products for cash. Customers from across the UK and Ireland can send their Atari items in exchange of cash by recycling them online with any of the websites listed if they are buying items you are looking to sell.